In the years prior to becoming the Queen of Soul, Aretha Franklin struggled to make a hit record. That doesn’t mean she didn’t make great records, as this Rare Cut shows. It seems crazy to say that Aretha Franklin, arguably the best singer of all time, struggled to launch her career in the early sixties. She had signed to Columbia Records in 1960 and spent seven years with the label, in that time releasing nine albums. During this period Franklin was mainly produced by John Hammond, whose musical background was mainly jazz, working with artists from Benny Goodman to Billie Holiday. In many regards, pairing the relatively inexperienced Aretha with the incredible talent of the mentor figure of Hammond was a natural decision. In practice, however, the results were not as hoped by either party involved. Hammond had Franklin sing covers and standards, giving her lush jazz arrangements that, although pretty spectacular, didn’t single Franklin’s vocal talent out as much as perhaps it should have been. The music she created at this time is not bad in any regards; her version of ‘Today, I Sing The Blues’ is pretty outstanding. But much of the material on her nine album releases, whilst pleasing, was equally forgettable. These albums gave Franklin an unpleasant start in the recording business, and she would learn plenty of lessons during this period. 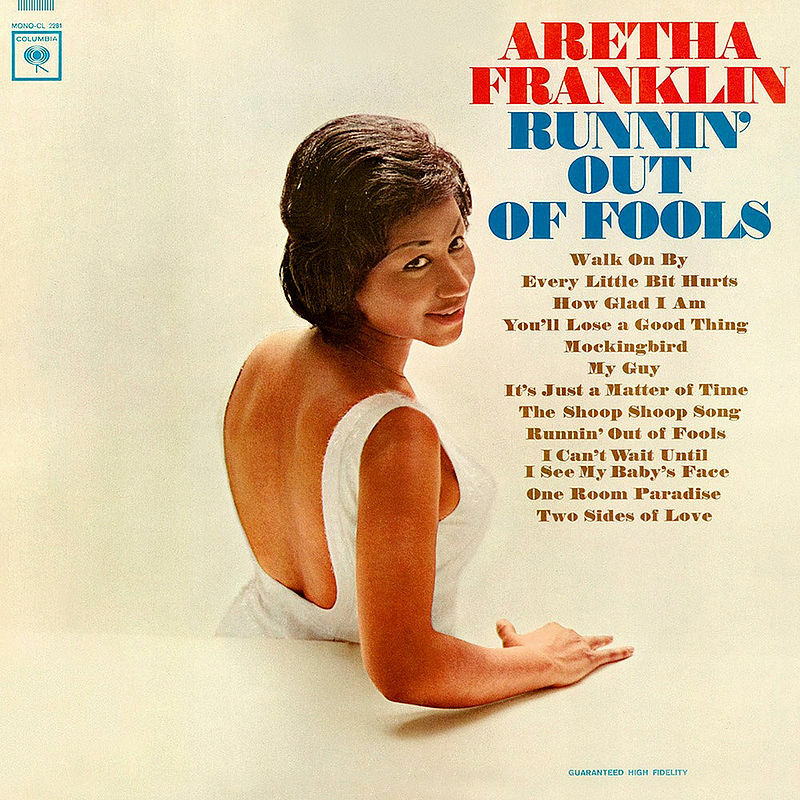 In 1964 Franklin released the album Runnin’ Out of Fools, and was produced not by Hammond, but by Clyde Otis, who had been successful songwriter for Nat King Cole and Brook Benton among others. Yet, he continued to apply the Hammond jazz/standard formula on Franklin, and while the album has some memorable tunes, it also has some pretty non-spectacular ones. That said, there is one song that is pretty spectacular, and that is Franklin’s version of the Mary Wells classic on Motown Records, ‘My Guy’. As with such massive hits, usually the original is the best, and on balance that is the case here. But while Motown, more specifically Smokey Robinson who produced and wrote the song, went for a pop-soul record, Otis had Franklin sing a really jazzy, sassy version of the song. Franklin’s sass is off the scale on her version of ‘My Guy’, bordering on mocking Wells for recording such a straightforward pop song in the first place. This cover is a pure delight to listen too, and in some ways it is a little more creative than the version Mary Wells and Smokey Robinson put out. Does it trump the original? No, probably not. Is it worth taking a listen to? You be the judge.